The house, situated on the southwest corner of College and Logan, is just two blocks from the Meyer May house at the northeast corner fo Madison and Logan. 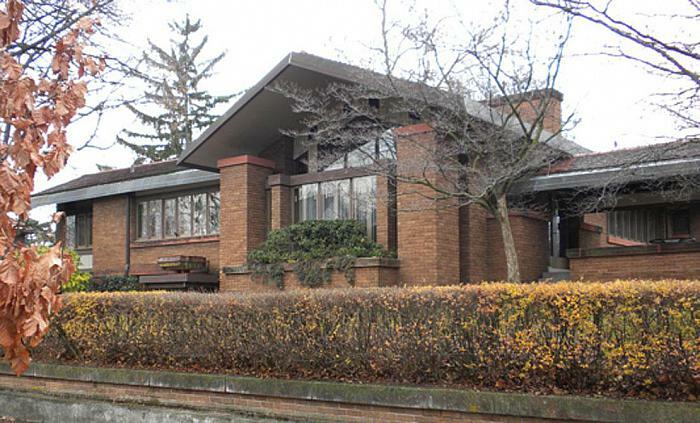 The Amberg house was contracted to Frank Lloyd Wright but designed by his female associate, Marion Mahony. Meyer May's wife, Sophie Amberg, was the daughter of David and Hattie Amberg.